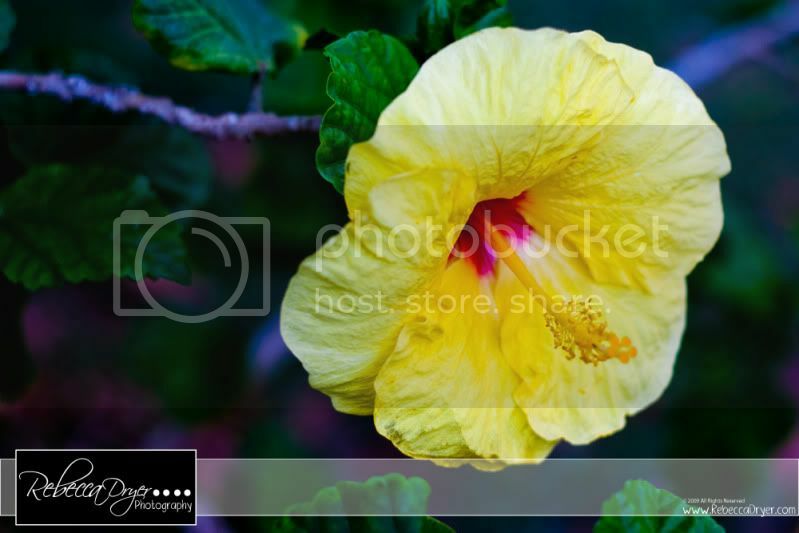 Rebecca Dryer Photography Blog: Random Pretty Flower! When we were walking back to our hotel from Jessica's in Hawaii, we walked through a park that had some gorgeous Hibiscus flowers. I have always loved this flower, but unfortunately, they are so hard to grow in Oregon. So I decided that if I took a photo of it, then it would last forever! Besides... I have a brown thumb anyways, I can never manage to keep anything alive! It would take a lot of talent to kill a photo of a flower anyways! I have been slacking on my blog lately, but I am trying my best to get caught up-ish!